Haven't been to Good Dog? Be a good friend and join us for Dogs & Deals this evening. If the weather is nice we will be on the patio (in the back) no-so-nice? We'll be inside, just look for the white and green BCO sign and Debora. At this gourmet hot dog restaurant happy hour deals differ by the day. bottled and canned beers are half-off Thursdays and Fridays from 3 to 6 p.m. Good Dog also runs an off-menu mini dog special during all happy hours. 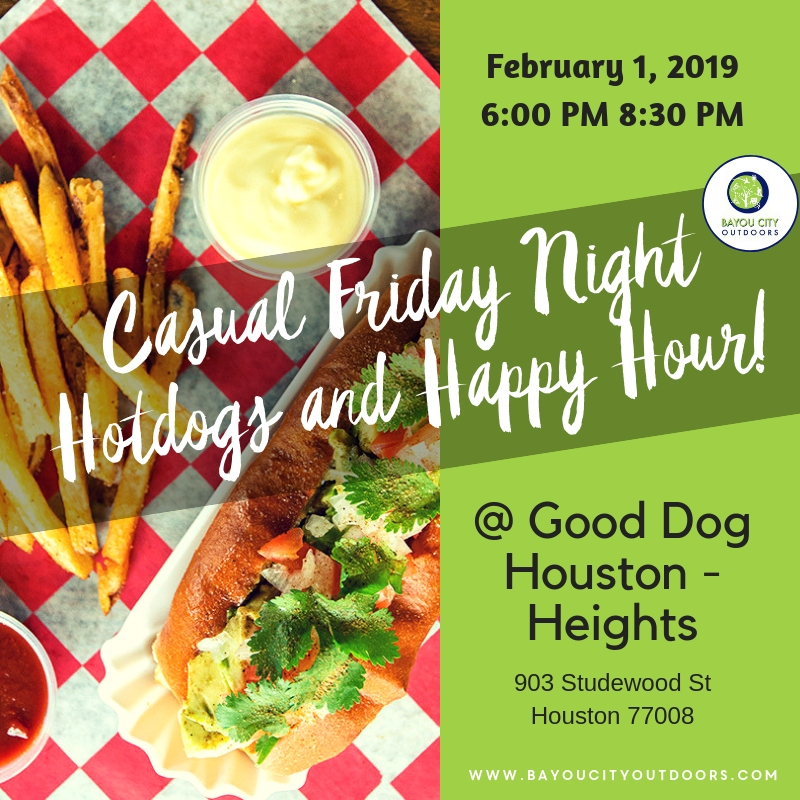 Toss in a dog-friendly patio, over 15 bottled and canned beers, a local craft draft beer wall and eight wines by the glass for a win-win situation for any diner and their dog. It's going to be a barking good time! For additional information, please call 713-524-3567 or e-mail to info@bayoucityoutdoors.com.